A whip-smart FBI profiler teams up with a former fling to catch a killer with a personal grudge. 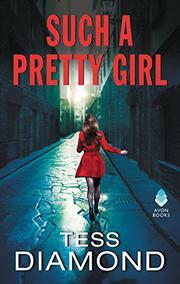 Grace Sinclair is the FBI’s shining star, working as one of their best criminal profilers. When not working cases, she channels her penchant for solving crimes into writing thrillers. With such a busy schedule, she has a strict rule of never seeing the same man more than once. Two years ago, Grace shared an amazing night with then homicide detective Gavin Walker, but that’s all it was: one night. She ignored his calls and requests to meet up again. Now they’ve reunited, with Gavin becoming the latest FBI recruit to join the team. Their first case together seems to be a random shooting, but as more bodies pile up, the victims bearing a striking resemblance to Grace, it becomes obvious that there’s nothing random about these murders. The crux of writing a compelling romantic suspense novel is balancing the tension with romance, and sometimes, there’s more of one than the other. Here, the fact that a serial killer is on the loose, targeting the heroine, takes a back seat to Grace and Gavin’s attraction to one another. Readers hoping for more of a thriller than a romance may be disappointed. This book is also a spinoff to Diamond’s (Dangerous Games, 2017, etc.) O’Connor & Kincaid series, and while the plot and main characters can stand on their own, the introduction of secondary figures from a previous series often feels like a revolving door of names and details. Considering that the romance takes center stage, the book is wonderfully paced, with Grace and Gavin approaching the investigation two different ways: Grace relies on her logic and profiling experience, while Gavin is led by gut instinct and hunches. As both of them try to resist acknowledging their previous one-night stand, it becomes an almost adorably awkward scenario, if readers can ignore the presence of a murderer targeting women in the D.C. area. While the romance and suspense frequently feel at odds with one another, this is a compulsively readable romantic thriller.